In recent years, Woolworths has transformed its online capabilities to better meet the rising trend in businesses purchasing groceries. 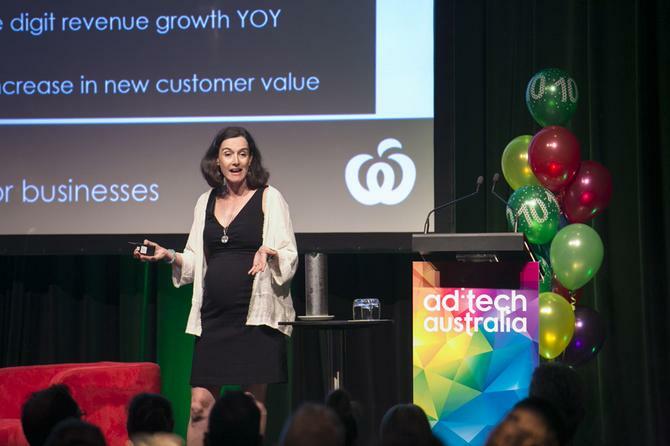 Speaking at the recent AdTech event in Sydney, Woolworths Online’s head of B2B, Jae Eddison, revealed how the supermarket giant’s online expansion has aimed to give customers greater choice, while offering a new level of B2B convenience. Australia’s B2B grocery market is a fast growing one, with 2.5 million registered businesses in Australia, 700,000 of which actively trading, representing a $7.5bn in potential opportunity. The challenge for Woolworths was that its brand perception traditionally has been B2C, with a broad target market size and profile. On top of this, the brand had more challenging customer expectations and well-established competitors. To adapt to the B2B space, Woolworths began to push new online offerings, promoting Woolworths Online as the place businesses can purchase all grocery needs in a one-stop-shop, delivered to them to save time and money. The new digital platform also provided tailored business support, discounts and interest-free credit accounts. To date, more than 40,000 businesses have registered and Woolworths Online has seen double-digit revenue growth year-on-year. On top of this, the brand has seen a one-third increase in new customer value. Eddison said the B2B team learned some valuable operational lessons along the way. The first of this is utilising data. Eddison also found customers who spend the most aren’t always the most profitable in the B2B space. Another piece of advice Eddison offered was to use your happy customer base to network, enabling them to help build your business moving forward. Importantly, Eddison stressed as a brand, you should never try and be something you’re not, as customer will see right through any fakery. “Customers will come to you with some great opportunities and ideas, but you can’t cater for everyone,” she said. “You need to clearly define what you do and don’t do, and stay true to your offering. When it comes to handling customer complaints, Eddison suggested making the most of all feedback, good or bad, and turn complaints into opportunities. Ultimately, customers want things made easier for them to get one with their job, she said. The new B2B Woolworths Online rollout follows a raft of new digital offerings, including a fully responsive disability accessible website, its new Apple Smartwatch app and a trial rollout of beacons across its click-and-collect stores.